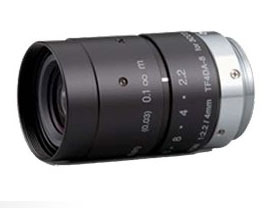 The Fujinon TF4DA-8 is a 4mm fixed focal length lens designed for 1/3 Format 3-CCD cameras with a C-Mount. It has a minimum working distance of 0.1 meters. The Fujinon TF series is designed for use with 3-CCD cameras in high quality imaging applications.